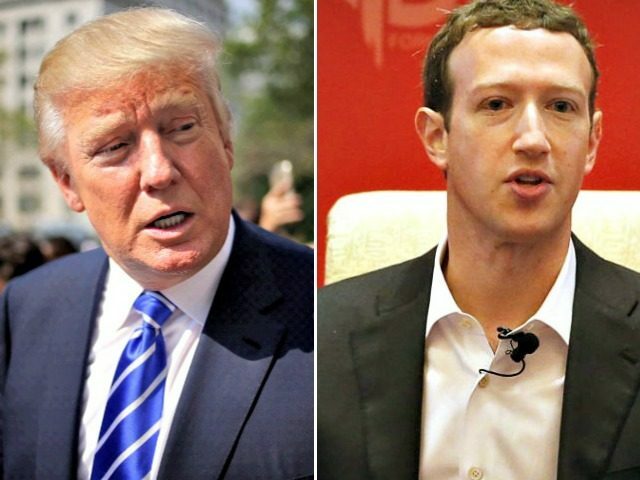 Facebook employees rallied the company’s CEO Mark Zuckerberg and even threatened to quit the company over some of Donald Trump’s postings, which they claimed violated the site’s policy on hate speech and community rules, a report from The Wall Street Journal has revealed. The posts in question related to Donald Trump’s comments about a proposed ban on Muslim immigration to the U.S., which they said violated the site’s community standards, arguing the company had double standards in relation to Trump. The argument went all the way up to Facebook’s senior management, with Mark Zuckerberg ruling that the company would not censor the content, prompting furious internal exchanges and leading to their community standards team threatening to quit. Zuckerberg later told a Muslim man at a town hall meeting that he believed Trump’s comments did constitute hate speech, “but said the implications of removing them were too drastic,” according to people who attended the meeting. Meanwhile, Monika Bickert, the company’s head of global policy management, told employees the company wouldn’t take down any of Trump’s postings because of its obligation to be impartial during election cycles. Facebook and Mark Zuckerberg have come under considerable scrutiny over the past year after a series of incidents suggesting the site is willing to suppress conservative dissidents. In January, Zuckerberg agreed to German chancellor Angela Merkel’s requests to “crack down” on people expressing dissatisfaction with her policy of mass Muslim migration. There were also reports that Facebook had been suppressing conservative media such as Breitbart from the site’s ‘Trending Topics’ section, whilst amplifying the relevance of news surrounding movements such as Black Lives Matter.